AppleApple’s new Mac Mini is scheduled to arrive November 7. 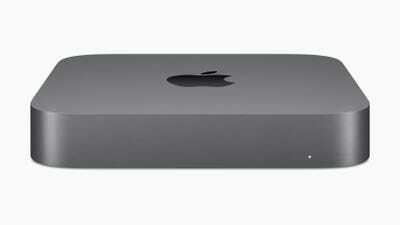 Apple plans to release a new version of the Mac Mini on November 7, starting at $US799. For the first time since 2014, Apple has announced a major upgrade to the Mac Mini, its smallest desktop computer. Preorders for the Mac Mini are available now starting at $US799, with the device scheduled to ship on November 7. Buyers will be able to choose between a four-core or six-core processor, between 8 GB and 64 GB RAM, and up to 2 TB of storage space. The Mac Mini will also use the Apple T2 Security Chip, allowing for better data encryption and faster video transcoding. Like the new Macbook Air, the Mac Mini enclosure is made of recycled aluminium, and many of the internal components are made using recycled materials. The Mac Mini has earned a cult following over the years as a popular media server and home-theatre computer. Mac Mini pricing previously started at $US499, with higher-end models going up to $US999. Now the Mac Mini will start at $US799 for the 3.6 GHz quad-core model and $US1,099 for the 3.2 GHz 6-core model, which can reach 4.6 GHz with turbo boost.